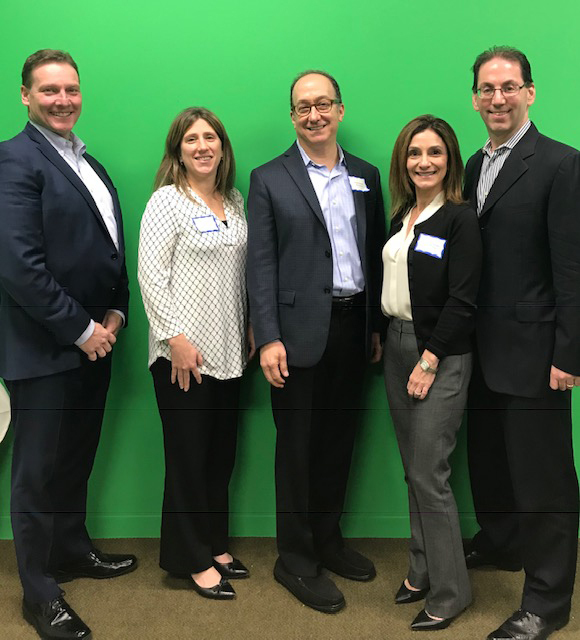 MH&H was a proud sponsor and participant at the Pro Bono Partnership’s program “Legal Check-up for Long Island Nonprofits” on Thursday, November 8, 2018. The program provided nonprofit organizations the opportunity to obtain free legal assessment from leading nonprofit and corporate attorneys. Pro Bono Partnership provides free business and transactional legal services to nonprofits serving the disadvantaged or enhancing the quality of life in neighborhoods in New York, New Jersey and Connecticut. (Pictured left to right) MH&H Attorneys: Keith J. Frank (Partner), Rachel A. Fernbach (Associate), Steven P. Seltzer (Deputy General Counsel), Jill T. Braunstein (Counsel) and Jonathan Trafimow (Partner).